Richter is another fighter from the Castlevania franchise that is making his way to Super Smash Bros Ultimate. He serves as an Echo Fighter to Simon, sharing the same moveset. There are some key differences though, which we’ll highlight in this Super Smash Bros Ultimate Richter Guide. We’ll also take a look at his Final Smash and Alternate Costumes. There’s an amiibo on the way too, so we’ll detail everything we know so far. Richter is one of the new fighters being added to Super Smash Bros Ultimate. Given that he is an Echo Fighter to Simon, he shares most of the same moveset. In this guide we’ll highlight the differences between the two and give you everything you need to know about Richter in Super Smash Bros Ultimate. 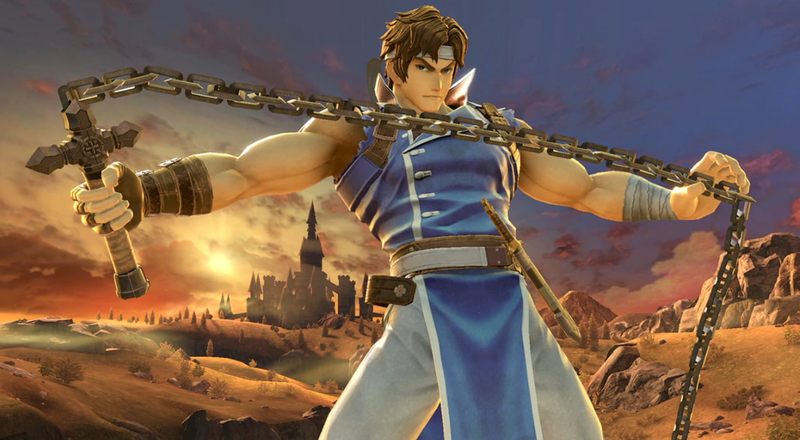 Richter comes from the Castlevania series, trading vampires for fighting creatures like Isabelle. In the table below, you’ll find the complete moves list for Richter in Super Smash Bros. Ultimate. 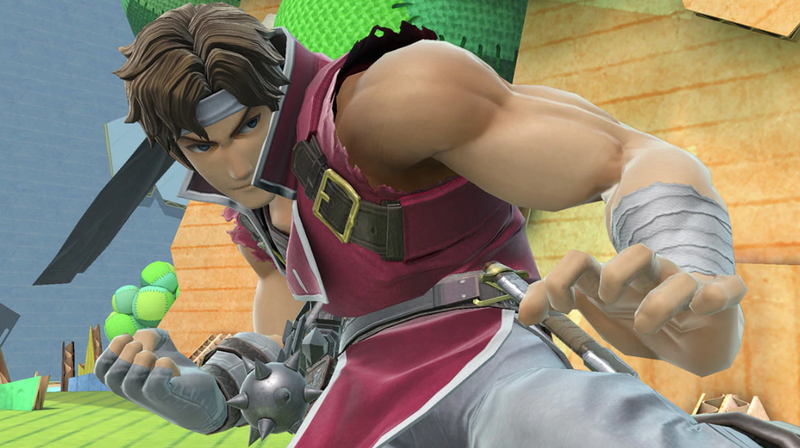 Richter is one of the new characters that Super Smash Bros. Ultimate adds to the series. He's a great fighter, able to easily punish at range. He has pretty poor recovery though, and if you're not careful you can be knocked out easily. To help you out, we've listed some essential Super Smash Bros. Ultimate Richter Tips for you to keep in mind. Richter has incredible range, especially with his Holy Cross. Holy Water can be used as a shield wall to retreat behind. Air moves have low lag and high range, so should be used often. Try to throw out the Holy Cross as often as you can. The axe throw is not as good as it looks, but can be used to punish enemies trying to get back onstage. Holy Water to axe to forward air is a super easy combo to pull off. Holy water is blue rather than red. Richter has some alternate Costumes for players to choose from in Super Smash Bros Ultimate. They are simple color variations on his default outfit. There are red, purple, green, yellow, blue, black and white versions. You can check out the red version in the image embedded above. Nintendo has confirmed that a Super Smash Bros Ultimate Richter amiibo is on the way. We don’t know what it’ll look like just yet, but the Tweet below confirms that it is indeed coming. Occasionally, Echo Fighters get their own Final Smash. This is not the case for Richter, who uses Grand Cross just like Simon. You can check it out by heading over to our Simon Belmont guide. That’s everything we know about Richter in Super Smash Bros. Ultimate. We’ll be updating this guide and other character guides as we get more info, so be sure to check back in regularly. For more on the game, head over to our Super Smash Bros Ultimate Guides hub. It’s got stages, trailers, details on amiibo, and more.